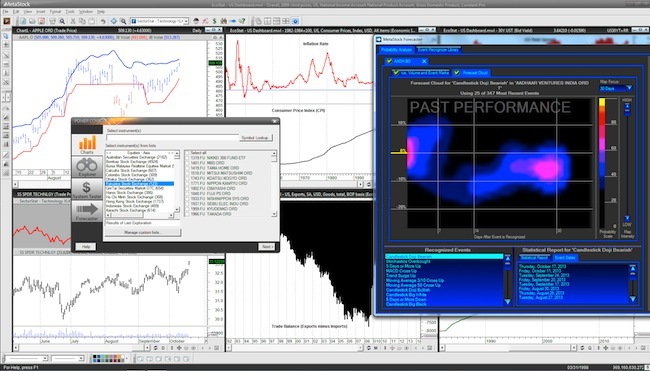 New MetaStock 13 - Free stock trading software for 1 month. MetaStock - For the last twenty years in a row, has won the Stocks & Commodities award for best stand alone stock software. MetaStock is a full-featured, professional-level charting stock software program. Superior charting, powerful scanning, endless customization, and revolutionary back-testing and optimization make MetaStock Pro 13 powered by MetaStock XENITH the best choice for the self directed trader. MetaStock EOD (End-of-Day) is specifically designed for traders who do their analysis after the markets close. The optional Reuters DataLink end-of-day datafeed, is powered by Thomson Reuters, the world's largest provider of financial data. MetaStock Pro can be purchased for a one time charge, subscribed to alone, or subscribed to in combination with XENITH data. Now you can try the MetaStock EOD (end-of-day) or MetaStock Pro (real-time) version plus the amazing MetaStock XENITH real-time data and news package. Special ChartsView Template – A customized template including RSI, OBV and MacD indicators.